My fellow blogger Frank Heaven and I are often prone to debate the merits of players labelled “ball playing centre halves”. It’s a term pregnant with meaning- and a slight damning with feint praise is never far from the equation. For just as Glen Johnson’s attacking attributes from full back are often highlighted only to stress his defensive inadequacies, centre backs who can “play a bit” are usually sniffed at for similar reasons. Rio Ferdinand, despite all the accolades and a position in the MVP XI of the World Cup in 2002, has never quite attracted plaudits in the same way as John Terry: a far less complicated and less talented defender. Hence, the latest Manchester United kid to come from the Ferdinand mould will be watched with keen interest as he commences his career at the other end of the M62 in Hull. 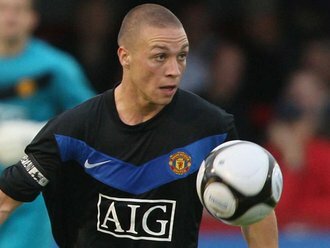 James Chester comes with rave reviews garnered from a highly successful loan spell at Carlisle United and John McGee, creator of the erudite CUFC blog, Bring Me the Head of Keith Mincher, penned an effusive piece on the youngster’s talents for Man Yoo blog, Stretford End Arising. Short for a centre half, the Warrington born 21 year old has produced a bevy of unruffled displays for the Cumbrians. That he’s the second man in a highly functional back line to quit Brunton Park this season after Ian Harte will only depress the locals. John is without any doubt at all that Chester will be a prime acquisition for Hull and recently having witnessed their committed but occasionally kamikaze back pairing of Kamil Zayatte and Paul McShane in action, a lad with the ability to put his foot on the pigskin will be most welcome; especially given the Tigers have never really recovered from the sale of Michael Turner to Sunderland. Whether Chester is the new Rioferdy5 or the new Chris Casper remains to be seen. The aforementioned McShane being a product of Old Trafford too of course. For every promising young defender United have given the Football League there's invariably been a kamikaze one to balance things up. Written this before so forgotten where I am. Cooper was in danger of becoming a victim of the general desire for competitive football. Hull City have already lost a few decent kids to the absence of meaningless end-of-season games and he could easily have gone the same way — for a few years now March and April have been all about going up or staying up, no freebies so no run-outs for the youngsters. He played a few Premier League games, which isn’t the same as being a Premier League player. But he showed great promise. Had he been a striker (like Mark Cullen) or a “strollingâ€ midfielder (like Tom Cairney) he’d probably have played more, but when you’re under pressure you don’t fart about with your back four unless you have to. He’s decent on the ball and has composure. He shows good anticipation and decent pace and he’s certainly brave enough in the challenge. Whether that is enough to make up for him not being 6ft 5 inches remains to be seen. There have been question marks on the message boards about his commitment, about whether he reckons he’s made the big time already. Well if he thinks a starting spot in City’s reserves with the odd game for the first team puts him up there with Billy McNeill (Cooper played at under 17 for Scotland) then he might as well pack up now. But most of us here think he has a fair bit to offer. He needs games and a bit of time away from home shouldn’t do him any harm. He’s never let Hull down and this move could be the making of him.